As your rickety ship trundles across the muted landscape in FAR: Lone Sails, you might wonder exactly what your purpose is. On the face of it you’re just another part of the vehicle’s mechanisms, a sentient cog which feeds its furnace with items that get converted into energy to power the ship ever onward. Forward momentum may be the immediate goal, but FAR revels in its meticulous design too much to allow that to be sufficient reward. No, this is a cathartic voyage which carefully builds up your management capability alongside the ship’s increasingly complex series of needs — but never enough to cause you any serious issues. It’s Overcooked by way of Jack Kerouac, an almost Zen-like experience marred by only a few missteps in pacing. Controlling a character wearing a floaty red accessory (for as Journey, Gris and Rime have told us, mysterious and important stories need at least one of these elements), you set off on a journey in the aforementioned ship after visiting a shrine. Who that shrine belongs to will be left to your imagination, as will the meaning of the enigmatic finale. The pleasure is in working out how to make your contraption move and how to keep it moving. Levers and switches are scattered within the ship: one to feed the furnace, one to start the engine, one to hit the brake, one to let steam escape. Boxes, crates, oil drums and more are your fuel, found on your travels ever eastward and brought inside to load into the hungry machine. If it's red, you'll probably need to interact with it. As you progress, your ship will arrive at various garages and automatically get given upgrades. The sail is among the first of these, allowing you to carry on with the wind at your back even if you run out of objects to chuck into the furnace. Later additions include a rear-attached suction pump of sorts, which hoovers up potential fuel items automatically ready for you to use them. Each modification is usually enclosed within a simple physics puzzle in a warehouse or some other structure, and normally involves pressing more switches to manipulate lifts or platforms with the ultimate aim of allowing your ship to continue. 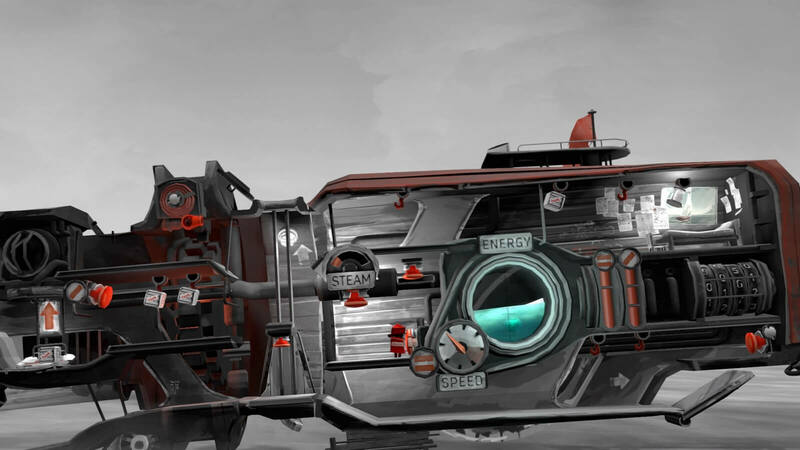 Indie studio Okomotive will no doubt garner fans of similar work such as Samorost and Machinarium by Amanita Design, who enjoy watching a slick series of contraptions clank into place upon a puzzle’s completion. These stops also break up the simplicity of an otherwise basic core loop of powering your ship, but the mindlessness of what you do when you are simply rolling along lets you appreciate the gorgeous vistas. Dawn turns to day turns to dusk turns to night, and pastel colours ebb and bleed into the grey shades with a stark beauty before fading to black, until you’re guided solely by the beams of your headlights. The vistas are stark at times, making each stop a comfort. Accidents can and will happen. If you don’t vent your steam regularly, your engine can overheat. If you ram your ship into a solid structure, things will get set on fire or start an electrical outage. Not being aware of the height of your sails could cause their raising mechanism to burn if you clip into something. None of these issues are insurmountable thanks to an onboard fire hose and welding kit, but using them drains precious fuel which means you’ll need to keep an eye on the road for more pieces of junk to collect, or watch the wind to find the optimal time to raise your sails and propel yourself forward without it. You can zoom in and out to help manage your travel more easily. 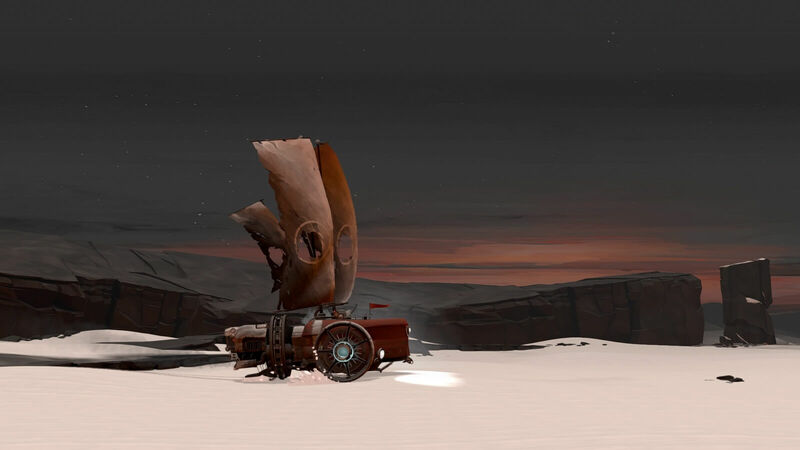 It’s at the point where you’re out of burnable fuel in the middle of the desert (or frustratingly close to a rest area) and unable to gather the momentum to get you up a ramp or drag the ship up using its retractable cable that FAR’s dreamy experience is shattered by its gaminess. 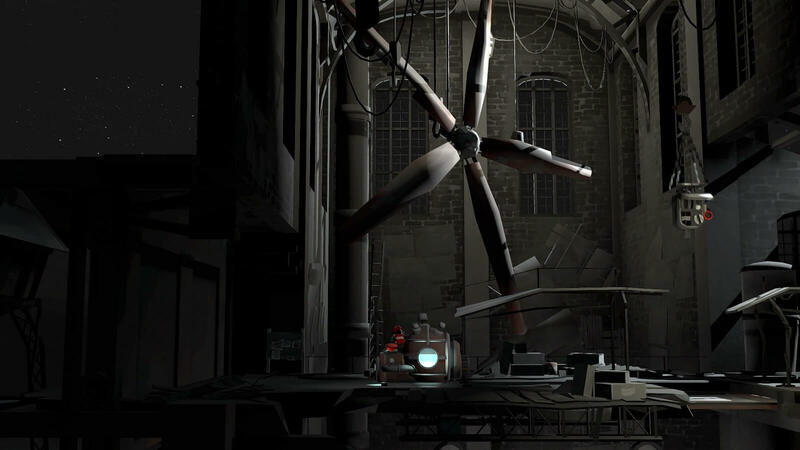 The physics engine underneath it is serviceable but far from great, and there are some periods of monotony where very little changes in the landscape to justify the time it takes between landmarks. If you neglect to put out fires, the ship will eventually explode — but if you have no fuel available to power the hose and cannot move forward to find any, you’re left with the option of either waiting an excruciating amount of time for it to blow up or restarting manually. However, the checkpoint system is generous enough that this isn’t too much of a hardship, more a shame that the occasionally off pacing on such a short game spoils what is an otherwise beautiful experience. For the three or four hours you’ll spend with your ship and its pilot though, FAR: Lone Sails is nonetheless a worthy investment. 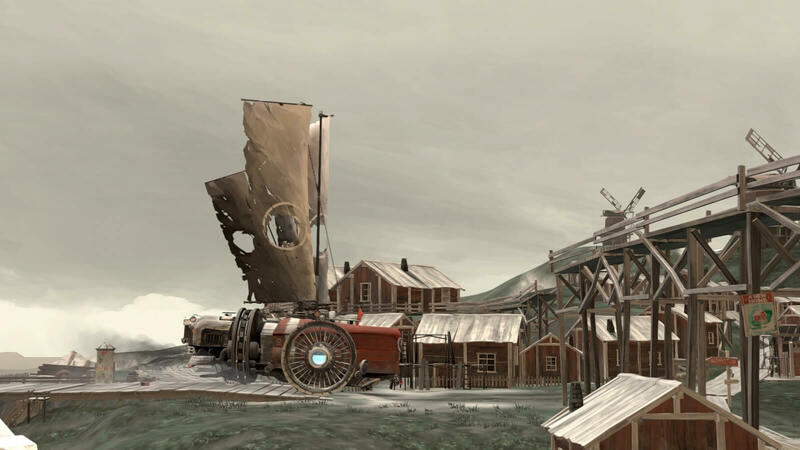 The console port of Okomotive’s debut is contemplative, lovely, and over too soon.